Win 2000/NT/XP/2003/Vista/7 VB.NET is widely popular programming language used for developing multipurpose applications. If your system is created in VB.NET and you need to add the feature of automatic printing PDF files, Total PDF Printer X will ideally suit these needs. This VB.NET print PDF utility easily integrates to any kind of application or web-server, providing ability to manage printers in background mode. Ability to switch coloured/monochrome mode for different specific print command. This is not the full range of Total PDF Printer X facilities. It contains much more useful features and their pack is constantly updated with options recommended by existing users. This VB.NET print PDF utility can be used via another application with the help of ActiveX interface. You only need to register ActiveX together with Total PDF Printer X on your server. 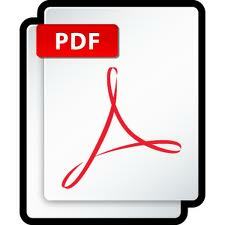 Buy Total PDF Printer X now or use it in trial till get sure it is what you need!